What is baby sign language? Communication is the key to cognitive, social, emotional, and behavioral development in children. Before your baby develops the ability to communicate verbally, their primary way to communicate with you is crying. Baby Sign Language is a way of giving your infant or toddler the ability to express their emotions and needs via gestures. To understand the benefits of Baby Sign and begin learning how to incorporate sign into your baby’s life, Kids in the House has compiled advice from leading speech pathologists and baby sign language experts. 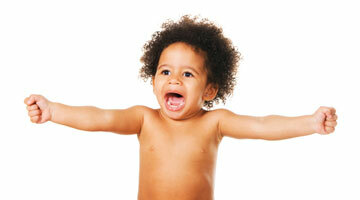 When to start teaching baby sign language? Baby Sign Language instructor, Heather Ellington, believes it is never too late to teach your child to sign. “You can start signing any time. Sign language is a really good way to bridge the gap between spoken language and literacy development. So when you start reading books to your baby, you can start signing all of the different book signs like bear or helicopter or airplane,” says Ellington. they are worried it could slow down speech development. You can rest easy knowing that research shows that teaching a child baby sign language will enhance verbal communication, not deter it. However, Ellington encourages parents with any concerns to speak with their pediatrician, speech language pathologist, or audiologist. Parents with children with special needs should have a conversation with their pediatrician, speech language pathologist, and members of their Individualized Educational Plan before adding sign language to their routine. 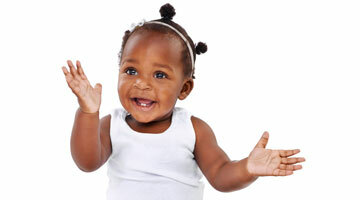 Baby sign language is taught in tandem with verbal communication, so instead of replacing spoken language with sign, use both together when communicating with your baby. Begin by teaching 2 to 3 signs by signing the gesture as you say the word. Expand the vocabulary as you feel comfortable, adding signs gradually. Ellington suggests choosing words that relate to your family’s daily routine, including feeding time, bath time, or diaper changers. replacing spoken language with sign, use both together when communicating with your baby. Begin by teaching 2 to 3 signs by signing the gesture as you say the word. 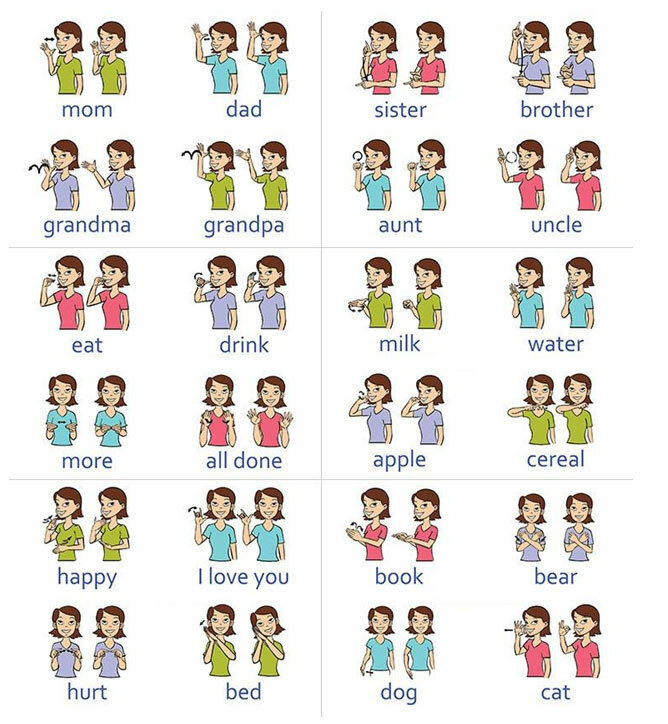 Expand the vocabulary as you feel comfortable, adding signs gradually. Ellington suggests choosing words that relate to your family’s daily routine, including feeding time, bath time, or diaper changers. “One of the signs that I like to teach – or I like to recommend to parents to teach their babies first – is a sign ‘more’. You take two closed hand shapes and bounce them together.’ Ellington’s other suggestions for your baby’s first signs are ‘milk’, ‘potty’, or ‘toilet’. If your child is signing with you but using incorrect gestures, all you need to do is continue to model the right form of the sign. “And it is okay to gently correct them or move their hands in a gentle way to make them use the right sign,” says Ellington. When it is time to transition from using signs to communicate basic wants and needs, you can use sign language to facilitate phonic, literacy, and emotional development. Simply begin by introducing letters and sounds of letters. “You can teach the sign “A”, “A” Sounds like “ah, “B”, “B” sounds like “buh” “, suggests Ellington. You can also use baby sign to emphasize emotional connection and development by teaching your child to sign ‘I love you’ or to ask for a hug or kiss. 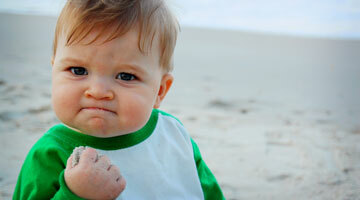 Make sure that all of your baby’s caregivers are on board with teaching your baby how to sign. It is important that all of the caregivers and family members are involved and know the signs that your baby is learning so that their signing communication is consistent. Is sign language the same all over the world? Is it okay if my child uses the wrong signs for things? Does sign language replace speaking to my baby? Heather Ellington, Baby Sign Language Instructor, shares how sign language works in tandem with spoken language to teach your child how to communicate. 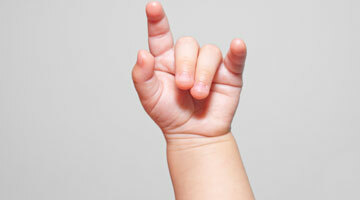 Is it ever too late to teach my child sign language? Will teaching my baby sign language cause speech delays? How many different signs should I use with my child? What are some of the most useful signs to teach my baby? 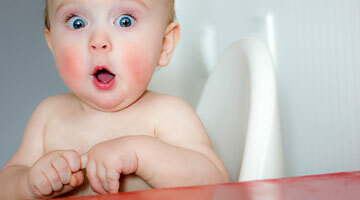 Do you know which signs are most important for your baby to learn and know? Find out which signs and terms are best for your baby to start off with. When will my child sign back to me?